Gold has always been a safe and surefire hedge against inflation. It’s a tangible asset that is easier to procure, as compared to other assets such as real estate. It also performs at its peak levels in the market even in times of political adversity or war. This is mainly the reason why many people choose trading in gold. 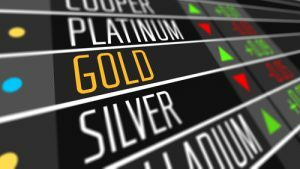 Why Day Trading In Gold Is A Good Financial Move? It’s a foolish move not to invest in gold. If you believe in long-term investments or accumulating wealth for the long haul, then you must really set your eyes on the goal, or gold for this matter. It is regarded as a luxury that’s worth splurging on because it has no tinge of liability and also increases in value over time. Expect high market prices. Its value depends mainly on the law of supply and demand. There is always a stable and increasing demand for gold especially in the jewellery industry. The price of gold is at a steady upward slope because of its high demand and low supply. Gold is on the mainstream, same as the fiat money or US dollar. It’s a tangible investment that anyone can take and not worry of losing their money in a blink of an eye. It’s a globally accepted currency and unlike some cryptocurrencies, this does not operate on stealth mode. In other words, you can trade gold at any point in the world because this is legally accepted globally. Gold performs at par or even better when pegged with the US dollar. It is a very competitive currency so expect higher yields or returns as opposed to other financial assets. Gold is considered more secure and offers protection on your investments. It actually performs better over time in terms of value as compared to fiat money and other assets. 1. You have to study market trends. The key to getting it right with day trading in gold is predicting and knowing certain market trends. If you observe, gold will always follow certain market trends. As a trader, you need to discover that trend and get into the right position and at the right timing. Analyzing market trends is very important in this step. 2. Identify and understand your market. Check if it is a range bound market or trending market. Know the difference. Looking into the technical indicators such as the Fibonacci retracement indicators will help you determine your strategy or where you begin your point of entry. Here is where you need to sort out the resistance and support levels. Experts or experienced day traders would advise to wait for a breach before you make the entry position. To achieve a downward trend, you need to jump into the highs. On the other hand, creating an upward trend would require you to connect rising bottoms and them taking advantage of any support opportunity. 4. Another buying position to take advantage of is that of moving averages. This is considered to be a favorite by many day traders because it’s basically very simple and convenient to use. All you have to do is buy when the faster moving average crosses over the slower one; and then proceed to sell once the faster average passes above the slower average. 5. When trading, always check into a confirmation of divergence. This will help boost your confidence in the trading process and come up will better trading results. 6. There is a season for gold. There are particular seasons of the year wherein gold predictably rises and falls in precision. It’s a pattern that is easy to master once you get into gold trading. It’s a general pattern to follow, but gold is usually at its strongest in September and weakest in March. It rises on the first quarter of the year and then weakens, following a rise on the last months or final quarter of the year. You have to take note of the seasonal trends or patterns in gold so you know how to implement your trading strategy the right way. Test the technical indicators before you actually use it in trading with gold. It pays to read, research, and be informed of the technicalities and jargons of gold trading. Basically, you cannot trade gold or anything for that matter without learning the ropes or the ins and outs of the system. There are no shortcuts to this. You need not be an expert or master to trade, but you have to at least be acquainted with the basics or strategies of gold trading. You can actually check on the support and resistance levels based on the highs and lows of the market. Investing in gold can be for short-, medium-, or long-term arrangements. Nobody has ever experienced financial drought by buying, holding, and selling gold. Trading is cyclical and predictive, which helps protect your assets if you are in it for the long haul or even if you want to get your profit right away. Either way, you win. Trading in gold is a smart move if you know how to play your cards right. You can make huge money with gold trading, that is a fact. Seasonal winning streaks for gold repeats itself year after year. While it may vary a bit, you would most likely predict wins in value of actual gold and prevent losses with staying attuned to the gold seasonal pattern. Diversifying your investment portfolio with at least 2% to 10% of gold is a good number. Understanding your market and following seasonal golding trends will certainly give you higher profit, and puts you in a better position to decide your entries and exits.